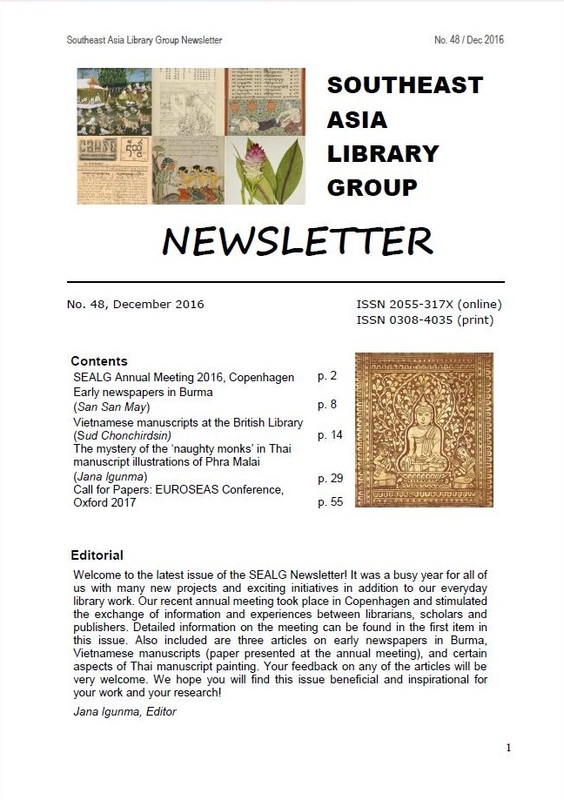 The latest issue of the SEALG Newsletter is now online on the SEALG homepage. 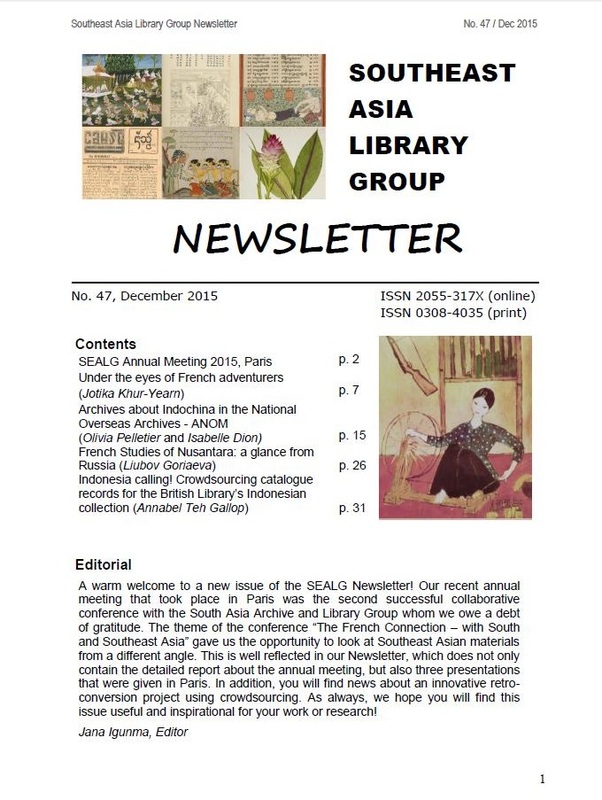 Former issues of the Newsletter are also available online via our homepage (click on “Newsletter”). 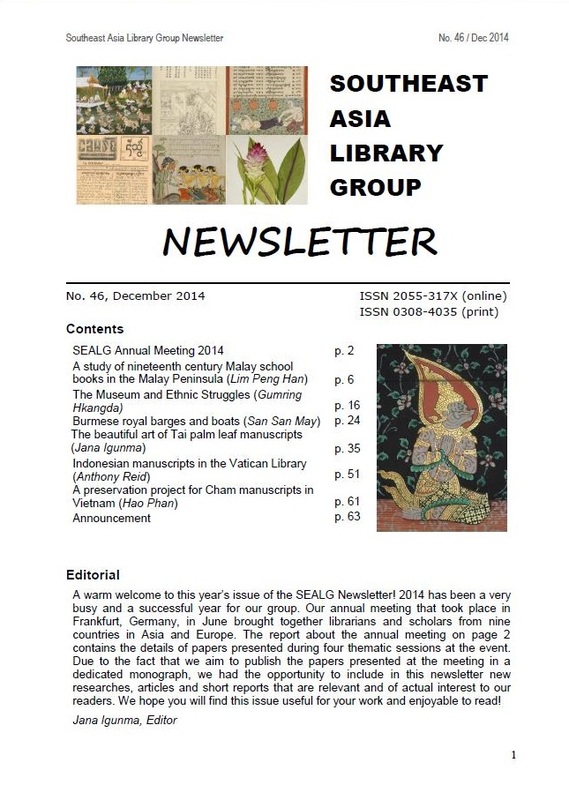 A new issue of the SEALG Newsletter is now available to download from the SEALG homepage http://www.sealg.org . 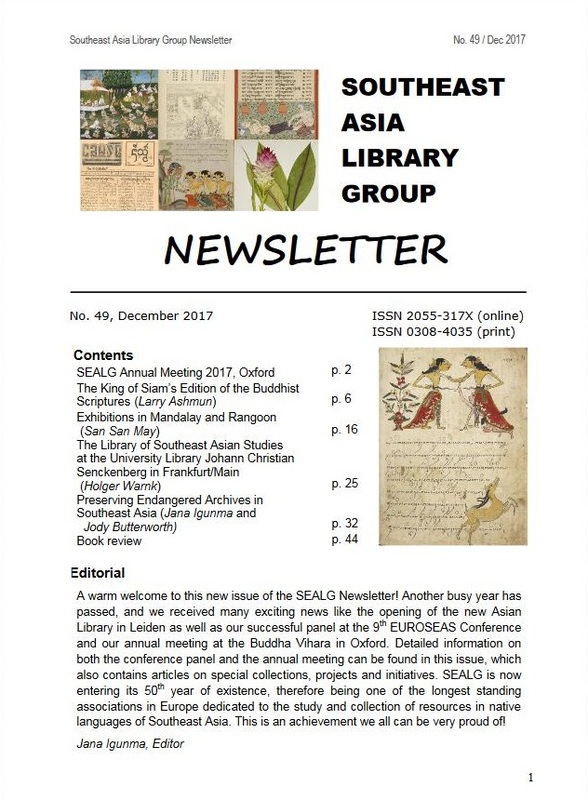 It contains some of the papers which were presented at the 87th SAALG Conference / SEALG Annual Meeting 2012, including “Cartoons and propaganda from North Vietnam during the early stage of the Vietnam War” by Dr Sud Chonchirdsin, “Operation ‘Nip-Off’. Some aspects of the repatriation of Japanese troops from South East Asia at the end of the Second World War in the Far East” by Dr Sue Sutton, “Ancient Buddhist Monasteries in Burma” by San San May, and “Islam, Trade and Politics across the Indian Ocean” by Dr Annabel Gallop. 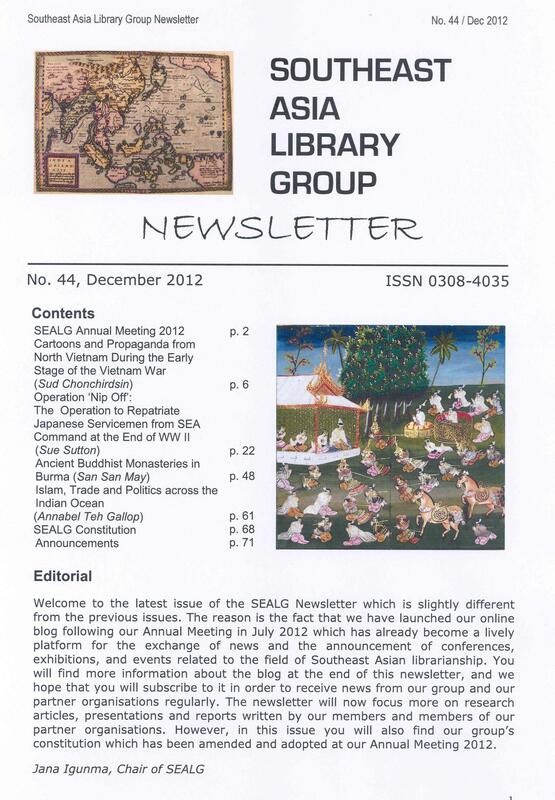 The direct link to the newsletter, which is now published in electronic format only, is http://www.sealg.org/newsletter2012.pdf . Please allow a couple of seconds for the download – depending on your internet speed it can take up to one minute.